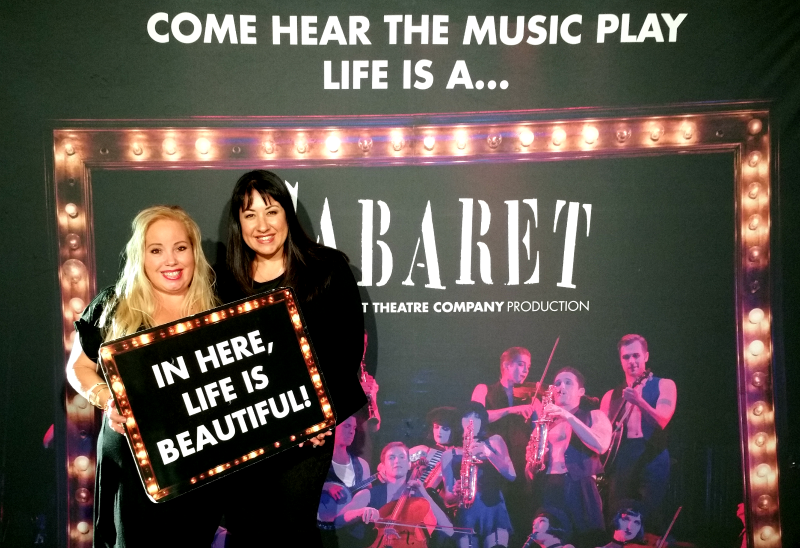 Last week we had a girls night out to catch The Roundabout Theatre Company’s production of the Tony Award®-winning production of CABARET that is now at Segerstrom Center for the Arts through the 21st. 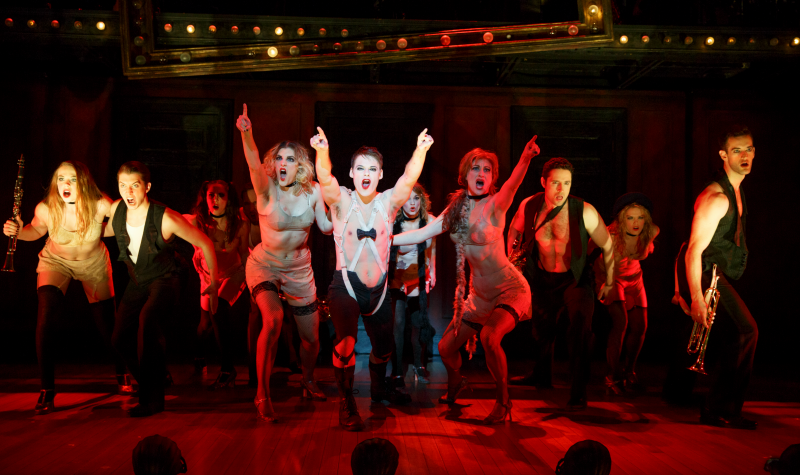 CABARET first premiered on Broadway in 1966 and won eight Tony Awards, including Best Musical, in addition to the New York Drama Critics’ Circle Award, the Outer Critics’ Circle Award, the Variety Poll of New York Critics, and London’s Evening Standard Award. The original Broadway production played 1,166 performances. My girlfriend and I started off the evening with photos. Naturally we had to commemorate the evening with getting into the production with Segerstrom’s fun photo opportunity. We dove into the world of the Kit Kat Klub and the live of a Cambridge University student, Brian Roberts as he travels to Berlin in 1931. With little money, he is directed to an inexpensive house to rent a room and becomes friends with the tenants. He meets Sally Bowles, a singer at the Kit Kat Klub, a cabaret style theater. Their landlord, Natalia Landauer, is courted by Fritz Wendel who initially wanted Natalia for her money, falls in love with her, however Natalia realizes that during the turbulent times, this may not be a perfect match due to their religious differences. They are living in the world where the Nazi’s are gaining power and this doesn’t seem to phase them. 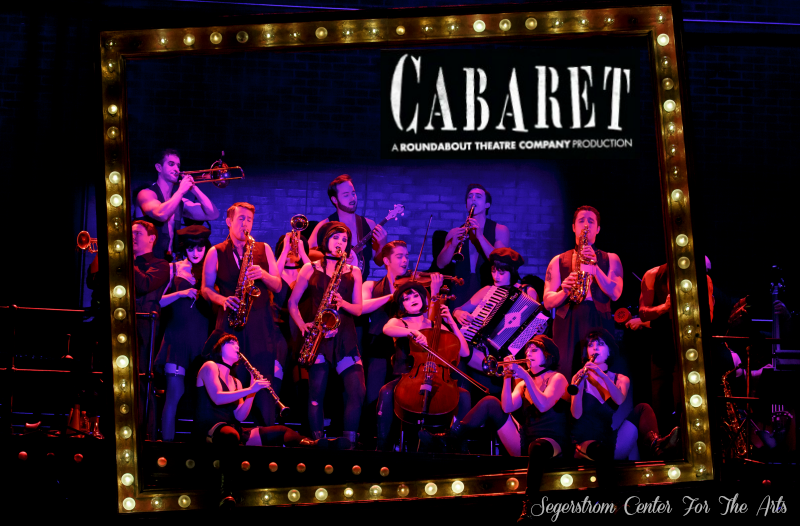 We had so much fun the opening night of Cabaret, with Randy Harrison from “Queer as Folk”, who was amazing in the role of Emcee. Cabaret features the most memorable songs in theatre history, including ”Cabaret,” ”Willkommen” and ”Maybe This Time.” Right this way, your table’s waiting at the musical the New York Post calls ”one for the ages.” If you’re ready for a date night or a girls night out – Cabaret is the perfect production for a great evening! Get your tickets now. Tuesday – Friday at 7:30 p.m. Saturday at 2 and 7:30 p.m. Sunday at 1 and 6:30 p.m. The 2 p.m. performance on Saturday, August 20, 2016 will include audio description, open captioning and sign-language interpretation.